[German]Users of Windows 10 may experience a nasty surprise when switching to version 1803. Drivers are no longer be loaded and return the error code 39 in the device manager – although all worked before installing the feature update. This is due to Core Isolation (HCVI), which was implemented in all versions of Windows 10 since version 1803 – and can cause the driver error on compatible machines. Within this German MS Answers forum post it has drastic consequences. After installing the feature update lifting the machine to Windows 10 V1803, the Intel(R) HD Graphics 3000 and its drivers no longer works. The Microsoft Basic Display Driver takes over the screen output, but only supports a resolution of 1024 x 768 pixels. Error code 39 indicates an incompatible or damaged driver. 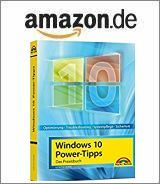 But with Windows 10 April Update there is an additional problem, which my German colleague Ingo Böttcher described in his German blog post here. Microsoft has also introduced the so-called core isolation (HVCI) in the home versions of Windows 10 V1803 (previously this was limited to the Device Guard of the Enterprise Edition, see). HVCI isolates the kernel via the built-in hypervisor (virtualization) to protect it. However, hardware support is needed. As Ingo writes, apart from Virtualbox issues also various drivers have problems with the new HVCI featrue. However, you can control and turn off core isolation on supported machines in the Windows Defender Security Center. Within this article is a screenshot and an explanation how to turn it on – this feature isn#t supported on my test system’s hardware. Then set the DWORD value Enabled to 0 (see also this Microsoft article) and reboot Windows 10. After that HVCI should be disabled and the old drivers (or Virtualbox) should work again. This entry was posted in issue, Windows and tagged code 39, Driver, Error, isue, Windows 10 V1803. Bookmark the permalink. Thanks for this . It worked. I have been struggling for two days to find a solution as to why my intel hd graphics driver suddenly stopped working. There was a yellow warning in device manager and a code 39 for the display drivers. Max screen resolution with windows basic display driver was only 1600 x 1200 instead of 1920 x 1080 making text look distorted. Tried reinstalling the drivers with no success. Luckily I came across your article and it worked a treat. After trying to find a fix for my driver issue, I came across your article and I turned off Core Isolation, rebooted and everything works fine now. I was previously suspecting the Special Folder Access settings and I turned it off to no effect. I even downloaded the 1809 update and I couldn’t install it, and I believe it must have been the work of the Core Isolation Settings. Thanks! That helped in my Acer 5951G laptop. It also had DVD-rom missing with code 39.